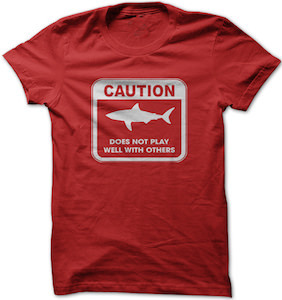 Now you can warn people around you by wearing this Watch For F Bombs T-Shirt. 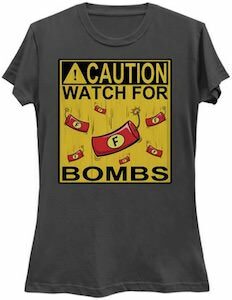 This t-shirt is made for people that use a lot of bad language and f bombs as it shows a yellow caution sign with bombs falling down with the letter F on it and the text “Caution Watch For F Bombs”. 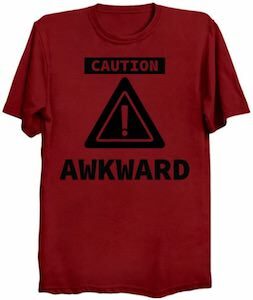 You can get this fall language t-shirt in styles for men and women and comes in sizes Small – 6XL and a wide range of colors so that it really is the perfect t-shirt for you. 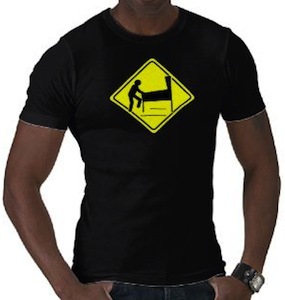 Now you can look great and warn people about your language.